Nutripath Neem Extract is made up of pure neem extract. It’s herbal & side effect free. Our Neem Extract improves skin and helps us to get rid of hair problems. Neem Extract also uses for curing infections & reduces joint pain. Indian Lilac or Neem is an evergreen tree and is generally grows in the Indian subcontinent. This tree has taken an important place in Ayurveda. Neem leaves and its bark use widely to improve health conditions and for other reasons also. 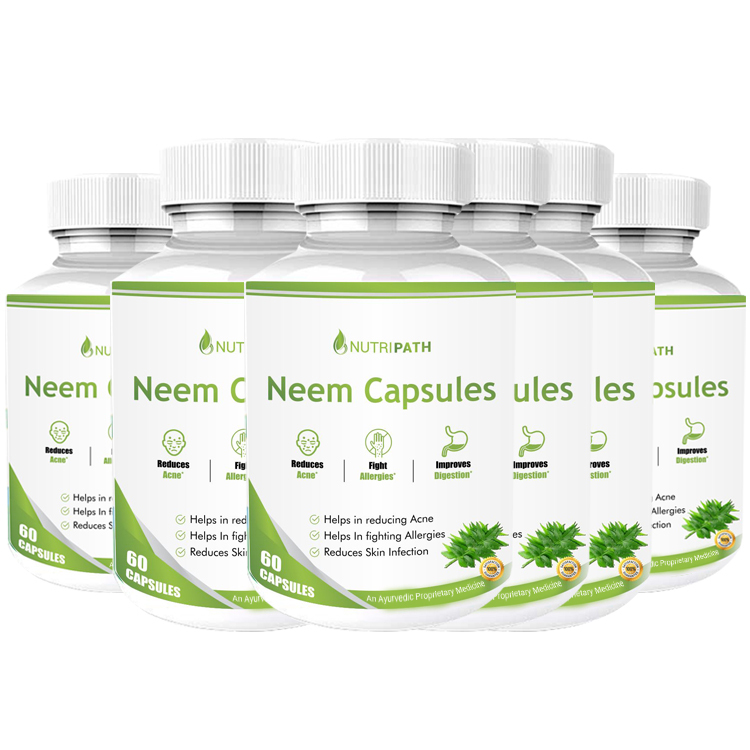 Nutripath Neem Extract is made with pure neem leaves and is known for its various positive effects on our health. With 100% pure neem leaves, we have made up our Nutripath Neem Extract Supplement. This supplement comes with all the goodness of neem and is highly effective for enhancing our immune system. Neem is also known for its anti-inflammatory property that reduces inflammation and provides relief from inside. Neem extract is also helpful for strengthening hair and keeping it long. This supplement is also beneficial for improving skin texture and facilitates internal health.